Now available! Our exclusive noble wooden case with acrylic cover. 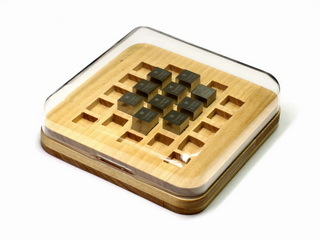 Elaborate custom made to protect your valuable cubes and put them into perfect perspective! Please note! This product will be sold only to customers who already purchased at least five density cubes or will be sold together with an order of at least 5 cubes.